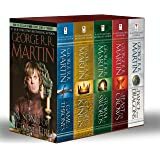 Amazon's Choice for "game of thrones season 5"
This was a substantial investment on my part, but since everyone in my house is in love with this series, it will make a very nice Christmas gift. The set comes with 30 discs with all of the episodes, plus a digital download code for watching the series on mobile devices. I looked at the extra material available with the series and it looks like I am going to be busy watching a lot of new material! It should be noted that the shipped digital download code is only for the last (seventh) season. You will need to go to hbodigitalhd.com, then click on "Support" at the bottom to open a support case. I did this, and 24 hours later, they sent me a digital code for seasons 1 through 6, so now I have the whole series available for streaming. 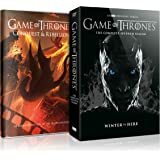 5.0 out of 5 starsDigital code ONLY for season 7. 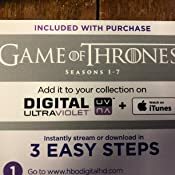 The digital UV code only works for season 7. If they make this right I will update my review. The UV digital copy paper clearly says seasons 1-7. UPDATE -- If you go to the support on the hbo digital website they will make this right. They ask for proof of purchase and an invoice/receipt. 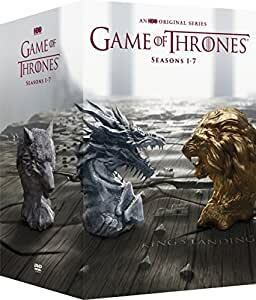 I purchased this with the awareness that the digital code apparently only provides one with Season 7, and HBO has to be contacted in order to remedy the problem; however, I was able to get all 7 seasons digitally without doing this. I have an UltraViolet Account and a Vudu Account linked to each other. I went directly to my Vudu account, hovered over "Services," then clicked on "Redeem Digital Copy." 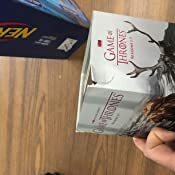 I then searched, "Game of Thrones, Seasons 1-7 (Bundle)." This brought me to a page where I entered to code found in the first season's case, and voilà! One has all seven seasons! Several DVD's have blemishes resulting in unwatchable episodes. We had seen seasons 1-3 already but wanted to get the complete set up to the current season. So far we have watched season 4 and 2 discs of season 5 and have encountered several bad areas of the DVD's. Thats 7 DVD's watched so far and at least 4 of them had bad spots. Not seeing issues with them when inspecting so unfortunately the issues aren't discovered until you are watching the episodes which will take some time to get through. Not happy, hopefully the seller will offer some replacement or refund for these items and then possibly the rating can improve. 1.0 out of 5 starsDon’t buy - stream instead!!! Pretty sure these discs are pirated. Most of the DVDs worked okay/decent but we weren’t able to select “play all” because the entire episode would skip terribly! On top of that, we had to turn the volume up into the 60+ range to hear what was being said on our Samsung SmartTV. It’s absurd. Finally, the last episode of S7 wouldn’t play at all because of the same skipping issue. 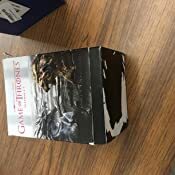 Box arrived but contents are used and beat up. Not happy. All dvds are open. 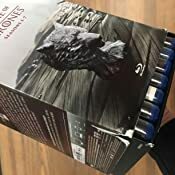 When I got Game of Thrones season 1-7 from Best Movies it showed wrong region when ever I tried to play the disc.